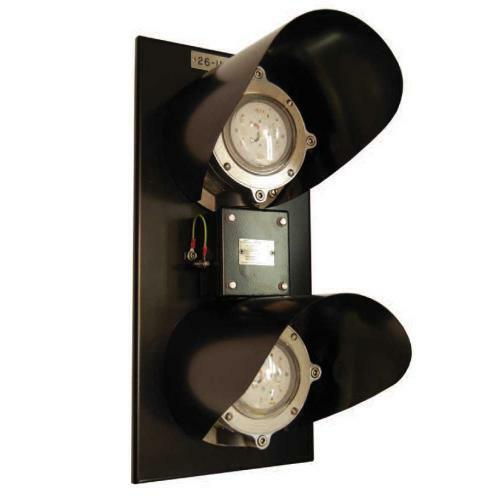 This unit can be set on installation for constant light output or flashing. The LED technology should give the unit 100,000 hours of life (10 yr). Low output, Low maintenance. Available in single, twin or triple lamp options. Colour combinations can include:- Red, Amber, Green, White & Yellow. Horizontal or vertical mounting options available. Direct Mount or Adjustable Pole Mount available. Bespoke / Individual Lamp identification labelling available. Each individual lamp utilises 6 of 1.2W LEDS. Can be supplied with 10º / 30º / 50º LED lenses for directional light output.